Today I have a polish from Happy Hands to show you. As soon as I saw the Arrested Development theme, I found a few polishes that magically leaped into my cart. This one is called I Just Blue Myself. Paying homage of course, to Tobias Funke's terrible word choices. 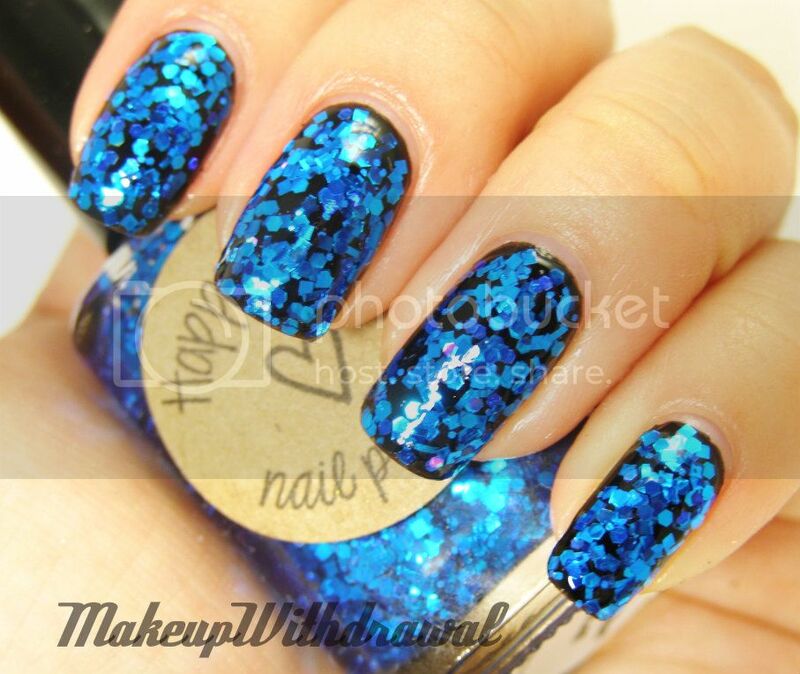 It is a mixture of different small blue glitters in in a clear base. There's square, hex, even smaller hex and sapphire holo glitters. The glitter is very dense, so I dabbed and pushed the glitter around during application to get each glitter exactly where I wanted it to go on the nail. I wore one(ish) coat over a black creme here. Since there's so much glitter, I opted to coat it with Nail Pattern Boldness' Glitter Food to maximize surface smoothness so that it would sparkle beautifully. Then topped it off with Seche Vite. Happy Hands polishes are $10 at the Etsy shop or $11 at Harlow & Co (for international buyers). Admittedly the most I've spent on an indie so far, but it is jam packed with glitter and each nail looks like it is encrusted with sapphires. Gorgeous. 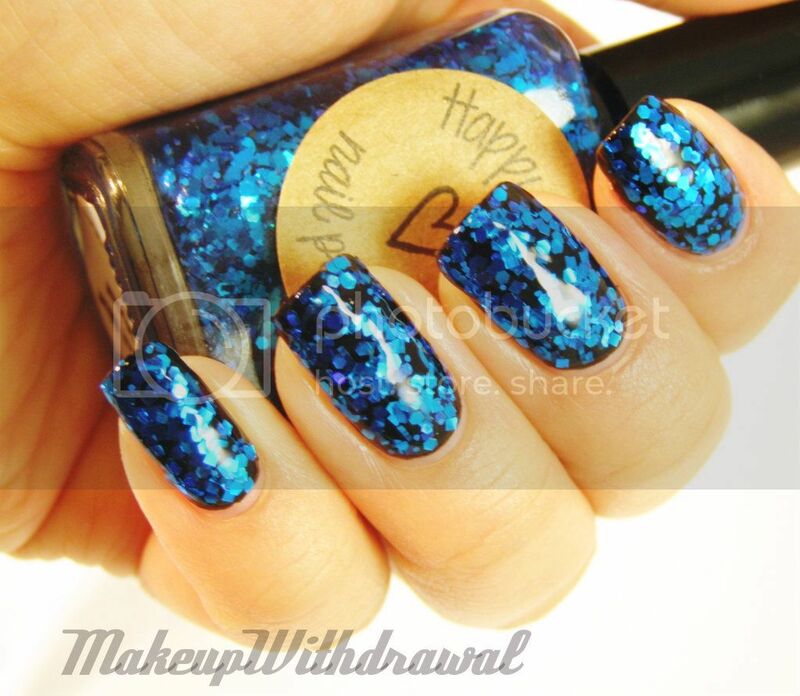 Have you tried any Happy Hands polishes? I'm also curious, when's the last time you bought something just because of the theme of the collection? Did you end up liking it?